We were thought of and designed before the foundation of the world. We were seen and formed uniquely in our mothers' wombs. God gives each person spiritual gifts for the building up of the Body of Christ, for faithful living and for serving Christ in the world. As we discover and use our spiritual gifts we come to know the joy of serving Christ and find places where our gifts intersect with the needs of the church and the world. 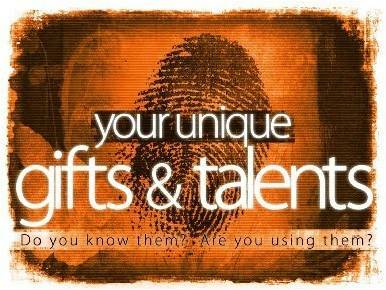 In order to be in the best place possible to leverage our gifts, we must understand not only our spiritual gifts, but also our unique individual talents. The following assessments are helpful in starting the process of knowing and using our gifts.